For Volume 2, the legendary player from the soccer nation Brazil with the uniform number 10, "Zico" will appear in the game! With an incredible level of skills in dribbling, passing, and shooting, he is one of the top players in the world. Experience the technics of a legend that has worn the number 10 on his uniforms for both Flamengo and the national team. Obtain Zico in myClub, and create your own dream team! 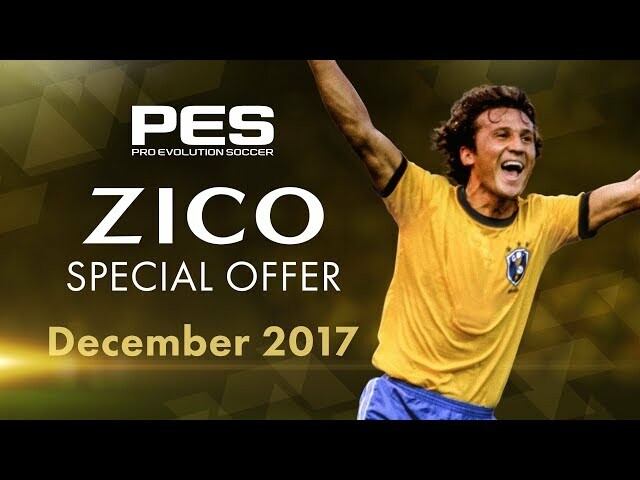 Zico will be available in PES 2018 (iOS/Android) from Tuesday, December 12th until Monday, Decemebr 18th, and will soon be available in PES CLUB MANAGER. and I’m excited by this partnership to bring the best football experience to fans.